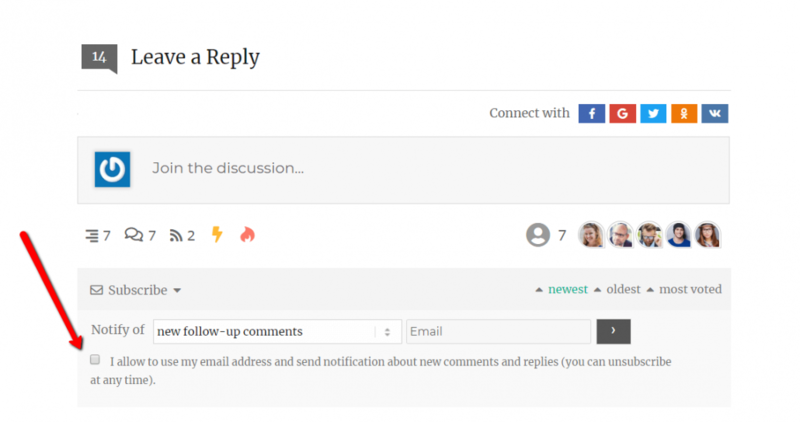 We’re going to use wpDiscuz comment from builder to add a custom field (checkbox). Please navigate to Dashboard > Comments > Forms admin page, edit the comment form you use. 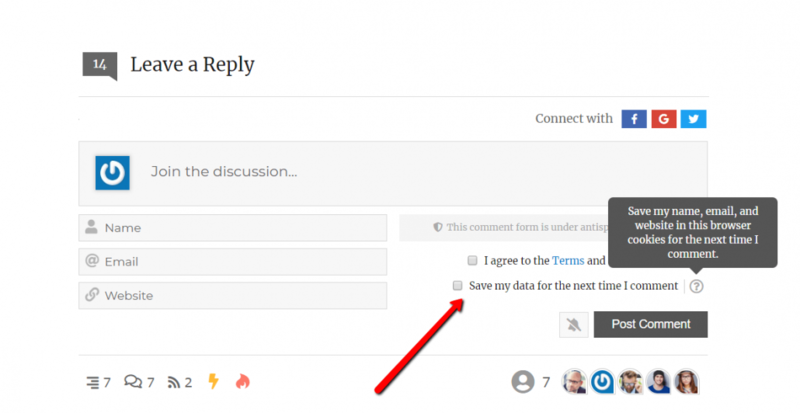 Click on the [+] button of the column you want to add an agreement checkbox field (we recommend add it in the right column and put it below all other fields and above the submit button). 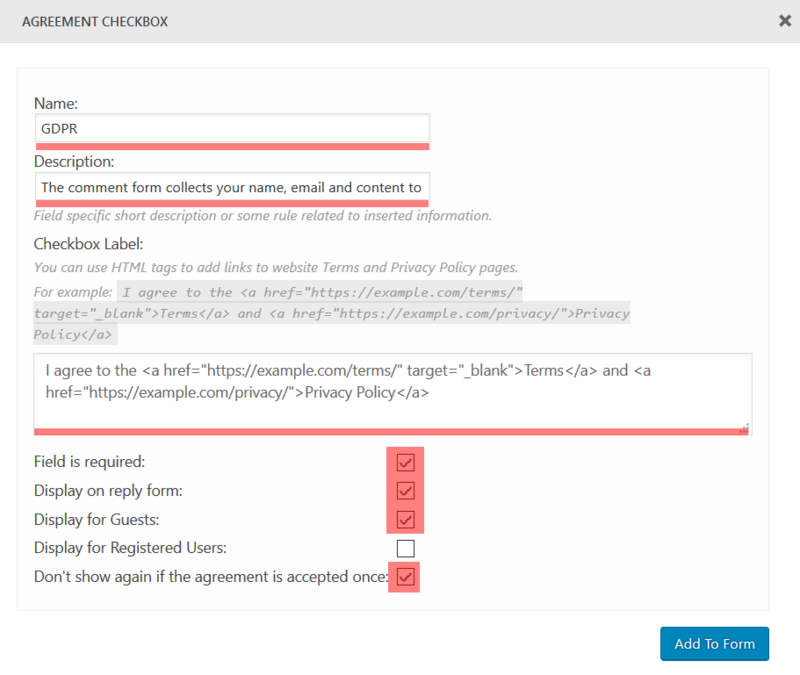 Choose the “Agreement Checkbox” field type by clicking the [Agreement Checkbox] button. Drag the new GDPR field (grey) and drop above “Post Comment (Submit Button)” field. Then scroll up and click the top right [Update Form] button to save it. Once the field is created and form is updated, please delete all caches, logout and check the comment form as guest. You should see the checkbox above [Post Comment] button.